Most of us will want to get married at some point in our lives. This intimate affair can be considered as one of the most important event in a person’s life. This is the day you promise the love of your life to be together until the end. Many people do it right, while some don’t. However, it is still considered the happiest day of our lifetime. What’s happening now is that the people who we look up to such as actors, sportspersons, writers, etc are getting married and the ceremony becomes a hell of a show. 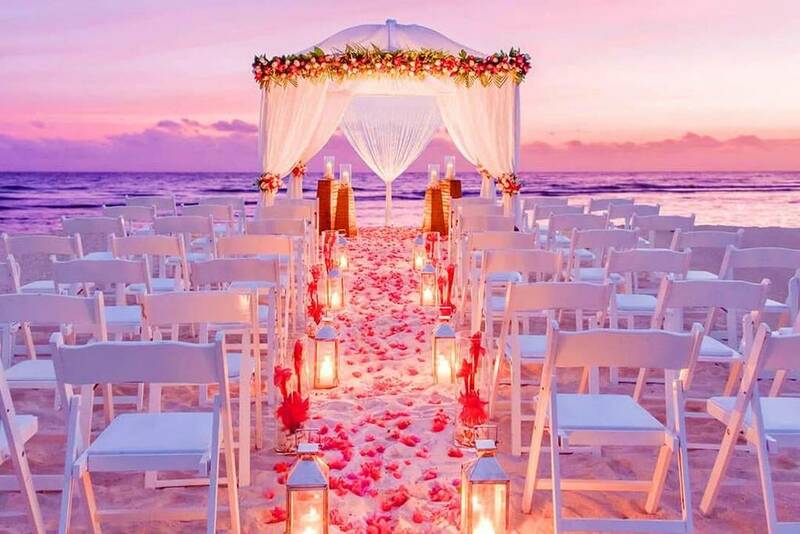 For many it is a dream to one day be in the place and tie the knot in an exotic location. Guess what! This articles makes it a lot easier to choose a wedding destination if you look up to a relationship goal. 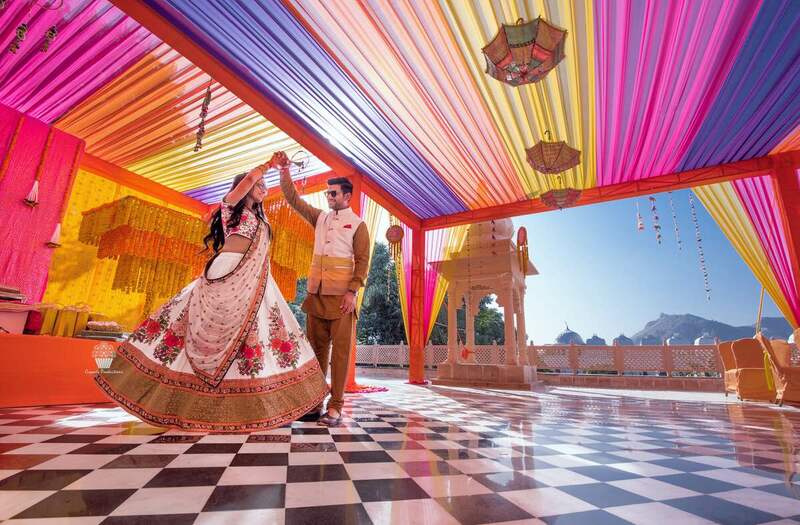 So, sit back and explore the best places for a destination wedding in India. Welcome to the blue city, a paradise of endless sunsets, golden deserts, and a royal heritage. An elite wedding paradise. The fabulous service and aura will want you to reserve the best place to tie the knot. The best venues are Umaid Bhavan- It is world’s sixth largest private home; Umaid Bhawan is apt for your Destination Wedding in Jodhpur. Owned by Maharaja Gaj Singh, it is the home of Jodhpur Royal Family. It has world-class service and 64 rooms with private terraces. ITC Welcome Hotel- It is located at the edge of Thar Desert; the 98-room Welcom Hotel merges royalty with modernity making it a perfect wedding hotspot. 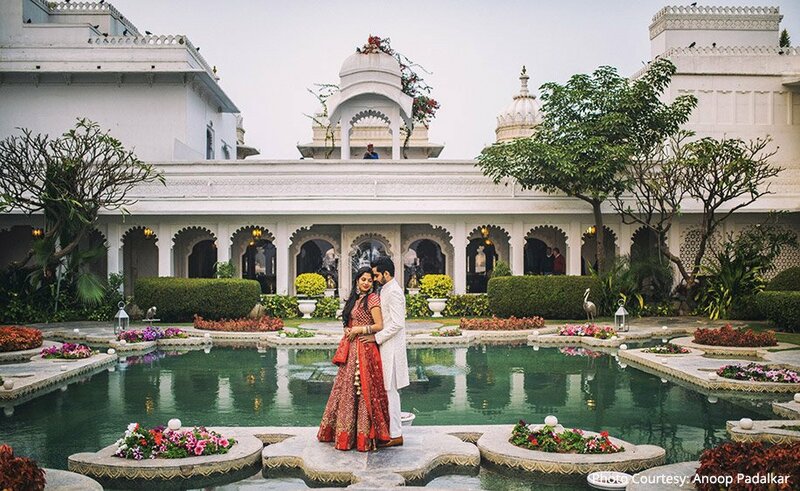 The city of lakes is one of the most popular wedding destinations in India. The Taj Lake Palace is featured in many movies and it is one such beauty we cannot resist. 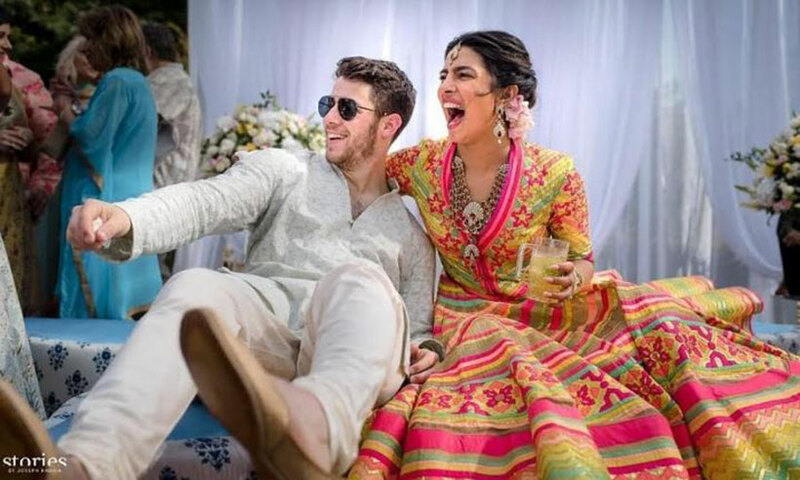 Priyanka Chopra and Nick Jonas tied the knot here in Udaipur. And beilieve me it was hell of a show. The City Palace Complex combines two Grand Heritage Hotels called “Shiv Niwas Palace” and “Fateh Prakash Palace”, it has its own unmatchable aesthetic beauty. Other spots in Udaipur include The Trident, Leela, and Oberoi Udaivilas. 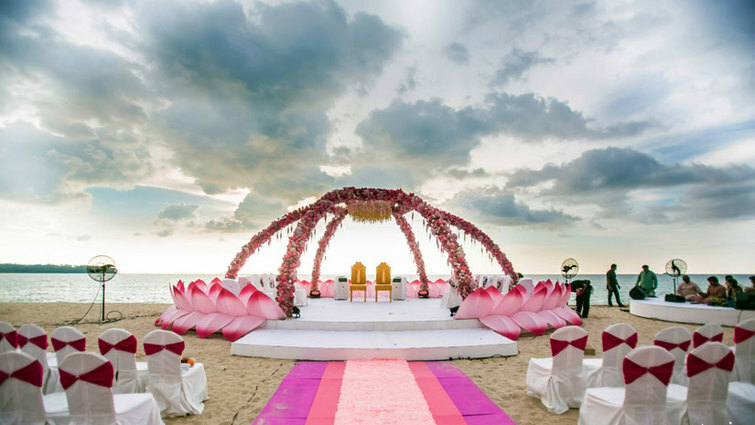 If you do not want a wedding by the desert, then Goa seems appropriate to tie the knot by the sea. Goa has to be the top beach destination for a hell of a wedding. There are spots like the Leela, Radisson Blu Resort near the Cavelossim Beach and the Caravela Beach Resort. Other options include Zeebop by the sea which is the best rated wedding venue in Goa. If Goa doesn’t set you in the feels then we have the Andaman and the Nicobar Islands far from the hoi-polloi. Make your love endless like the ocean, clear as the blue skies and make vows here in the Andaman and Nicobar Islands. Some of the best Resort in the Andamans are The Taj Exotica Resort, The Munjoh Ocean Resort, Sea Shell Havelock, and Silver Sand Beach Resort.